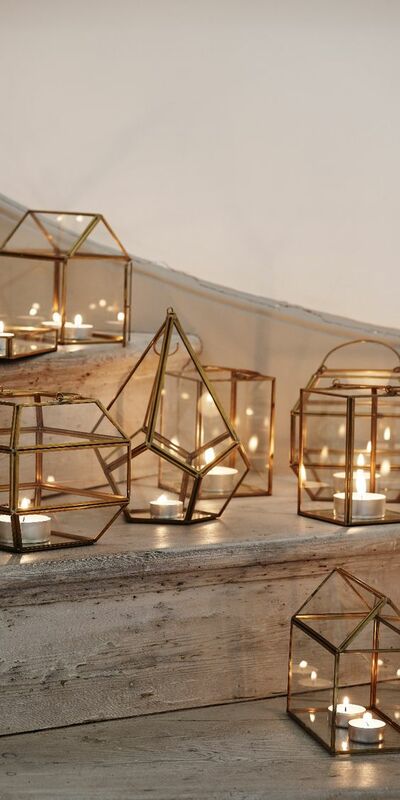 Metallic decor is very popular for decor today because it’s stylish and gives a refined and elegant touch to any space. 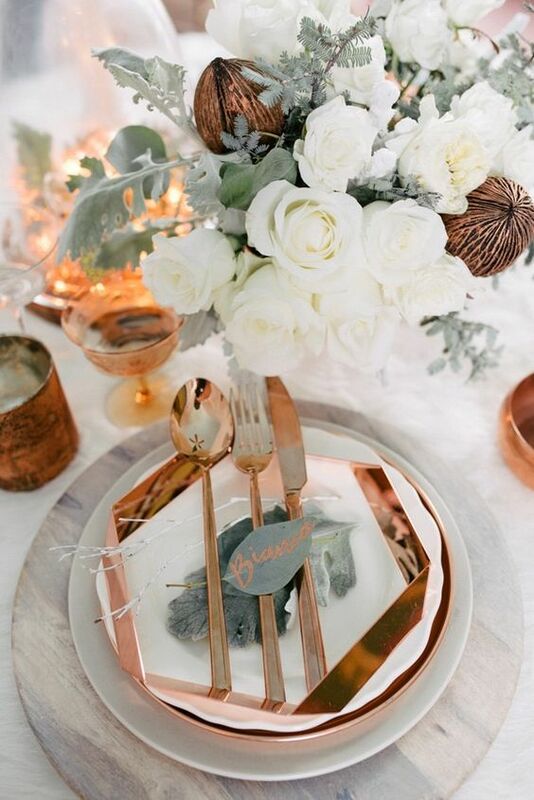 Silver and gold are the most used shades but copper has become a leader recently because of its soft and warm shade. 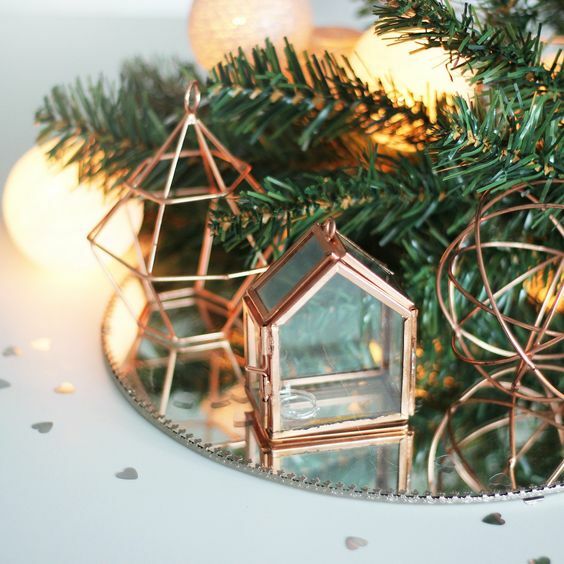 Copper is great for decorating every space: a kitchen, a bathroom, a dining space, a living room or a bedroom. 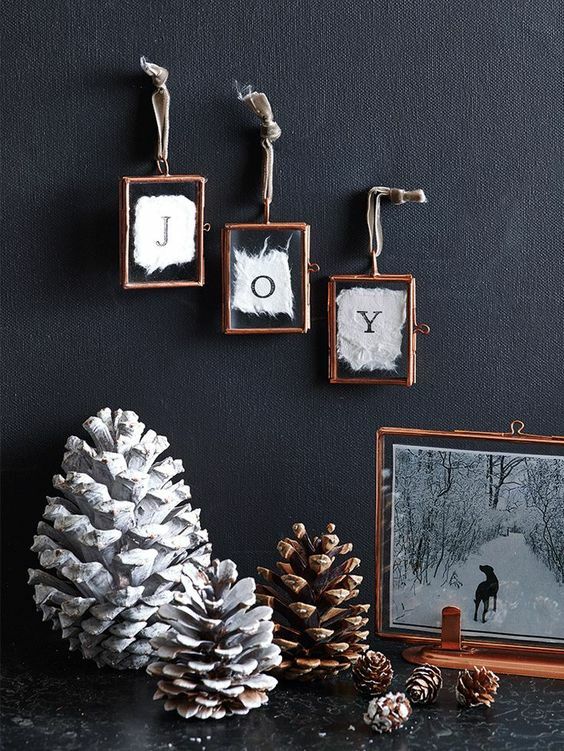 Copper adds chic and a refined feel easily, just a couple of such decorations can absolutely change your space. 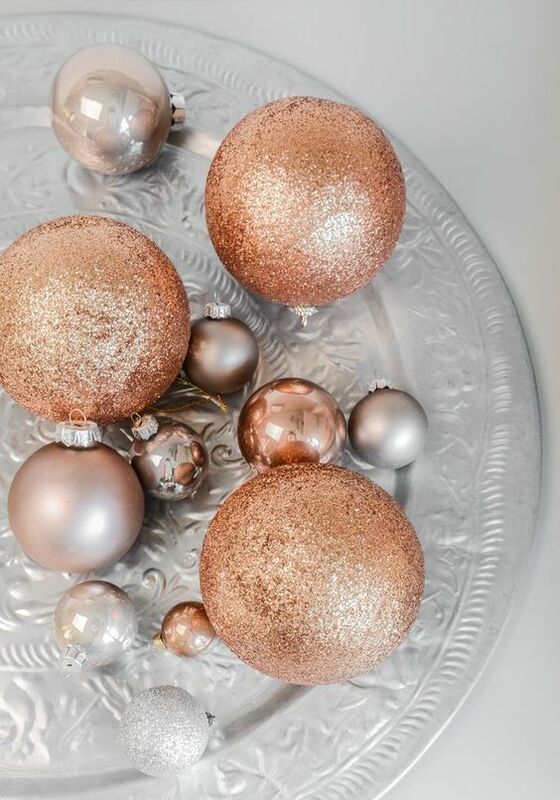 Metallic touches and decorations like gold or silver are traditional for Christmas and New Year but what if you want something different? 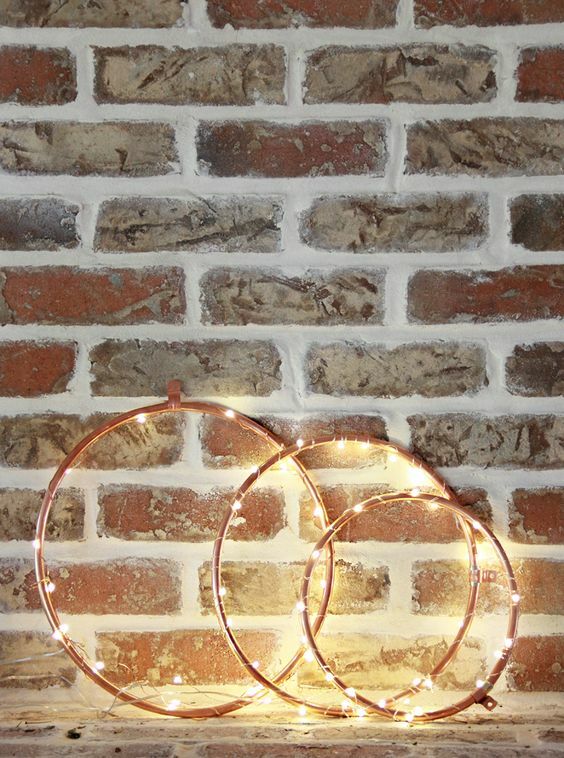 Copper is your answer! 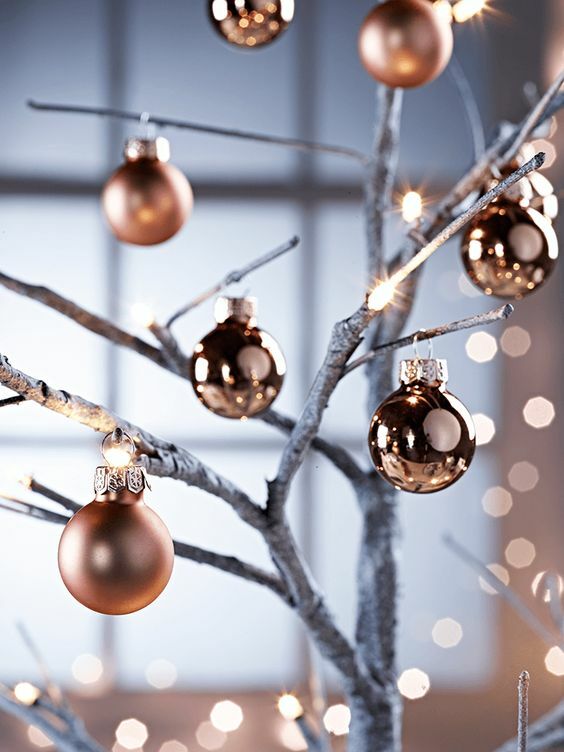 Copper is a very elegant metallic shade, which is warm and cool and will easily add a festive touch to your home, besides, there are a lot of combos with copper to try. 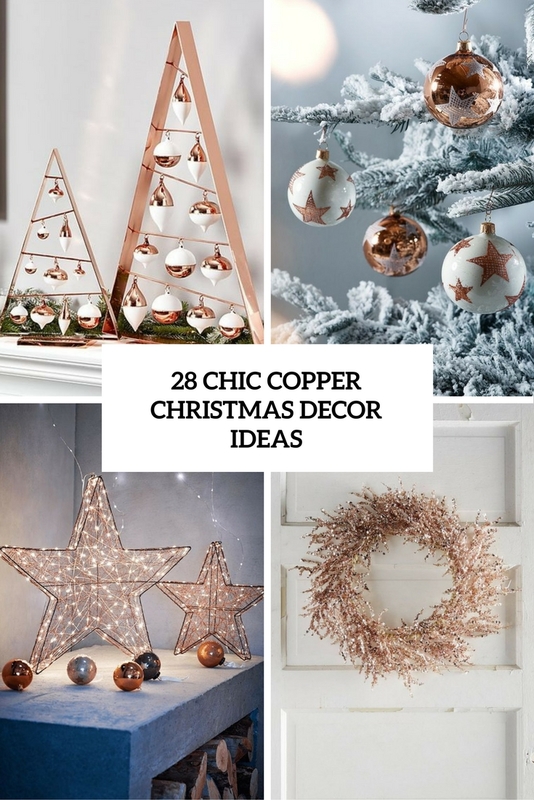 Copper fits a lot of decor themes and styles: industrial, modern, minimalist or even glam and start decorating – copper decor can easily fit almost any style you want. 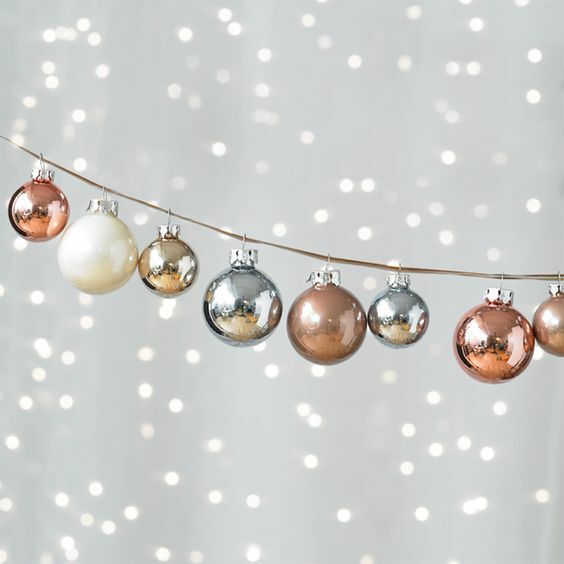 Copper and white or ivory is a very elegant combo, it’s warming up and cozy. 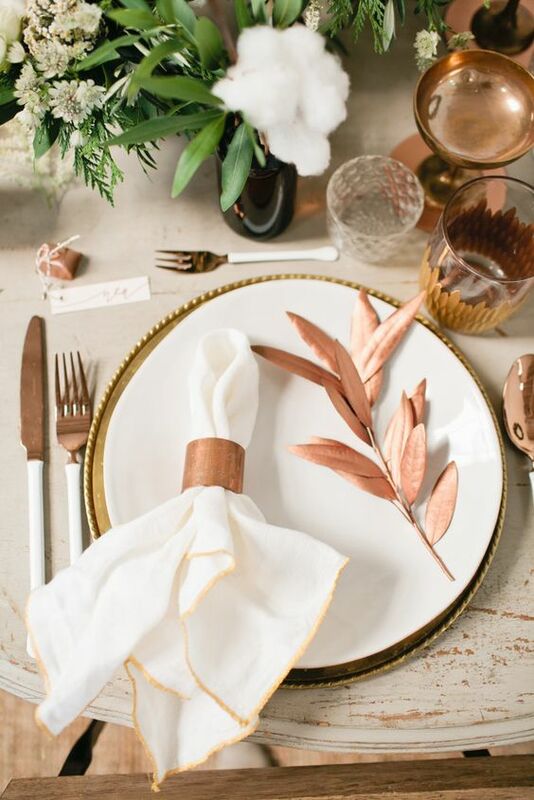 Copper and brown is a traditional and mid-century modern mix that looks more refined. 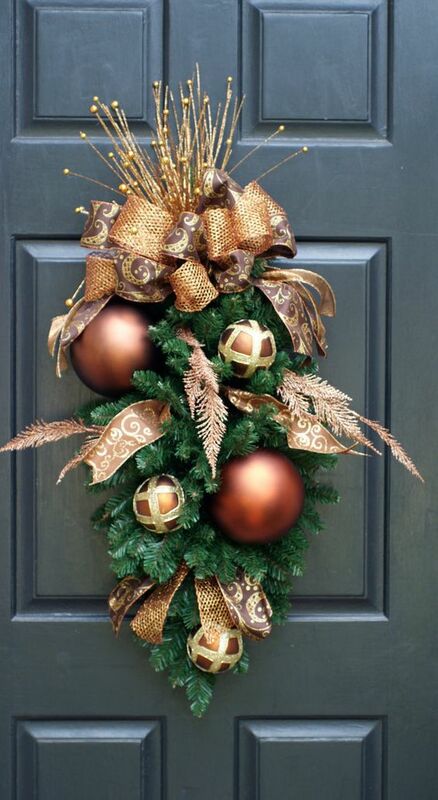 Copper and other metallic shades are amazing all together and you can have an elegant metallic Christmas. 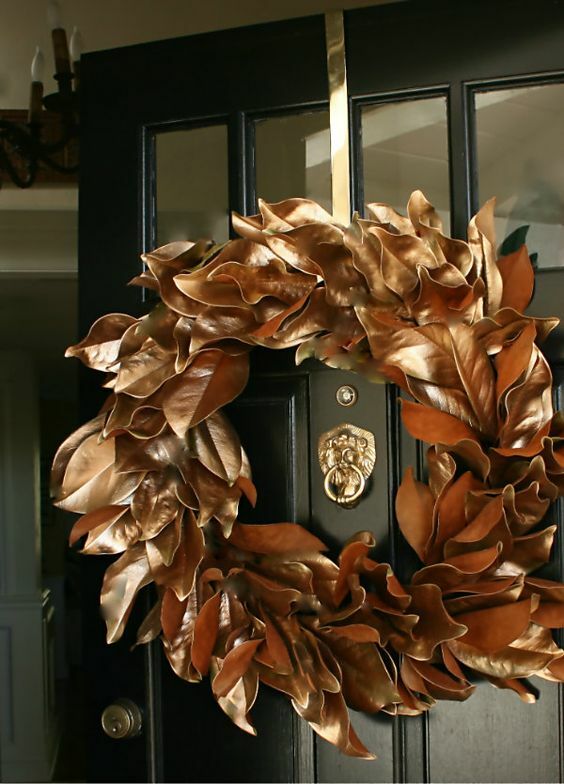 You may also try glossy or matte copper decorations to have something variable. 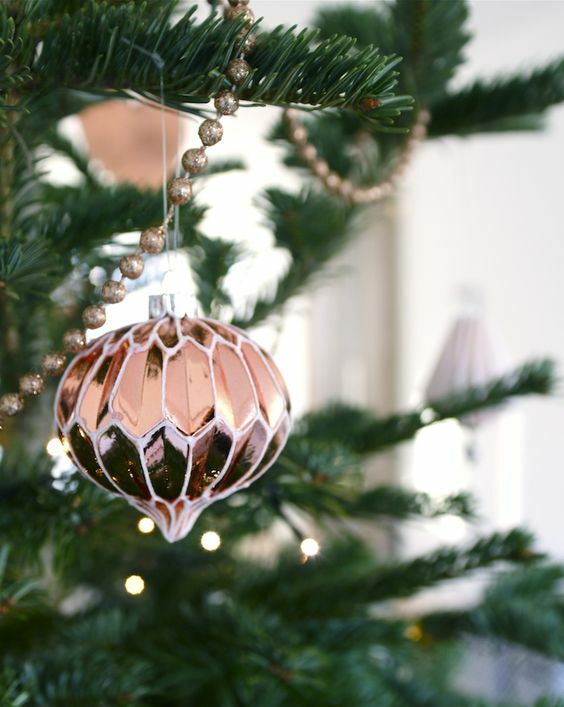 Copper is cool for ornaments, they look very elegant and refined. 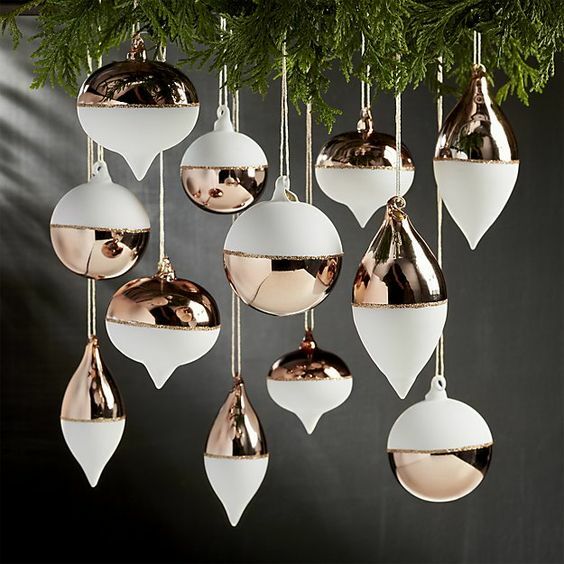 Try glossy and matte finish, copper and white ornaments, copper and brown ornaments or a metallic range of ornaments with copper included. 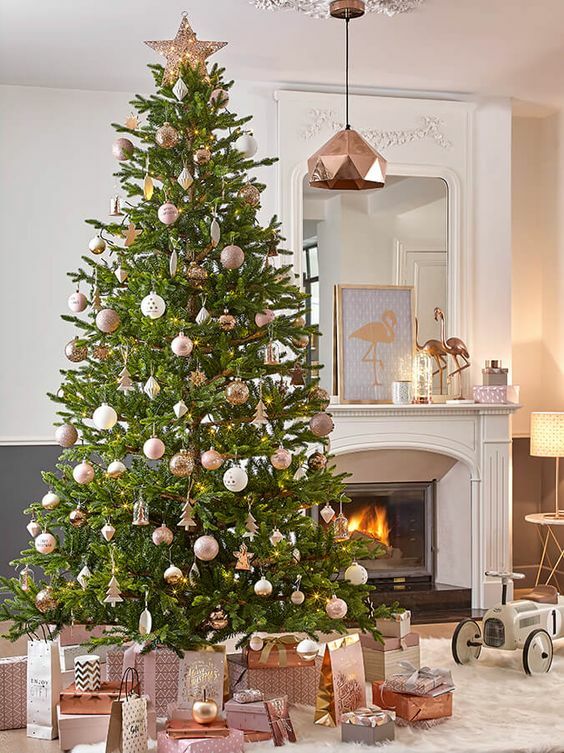 They may be modern or vintage, of any shape imaginable and you may use them for decorating your tree, mantel or making hangings and clusters of them to decorate the house. 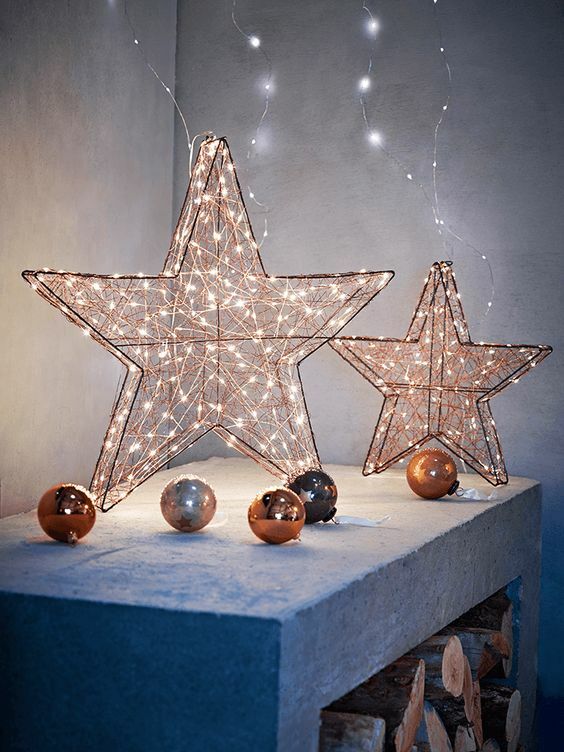 Such clusters are amazing to hang outdoors and you can also hang them over the window. 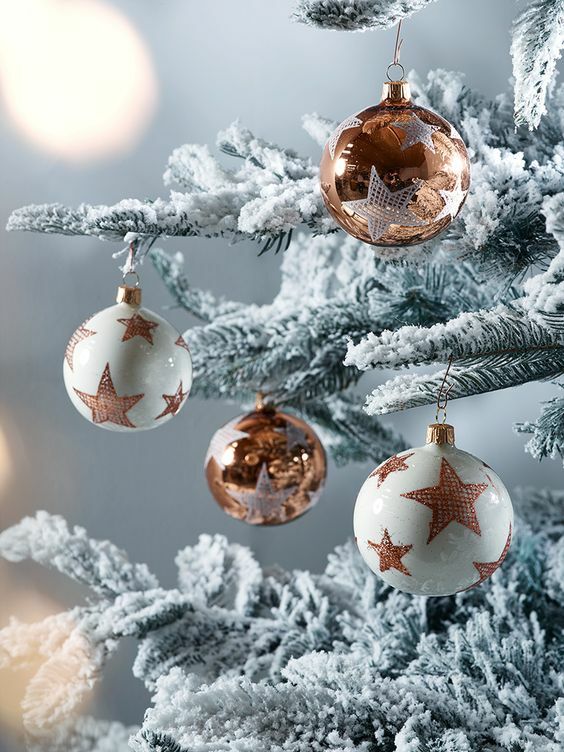 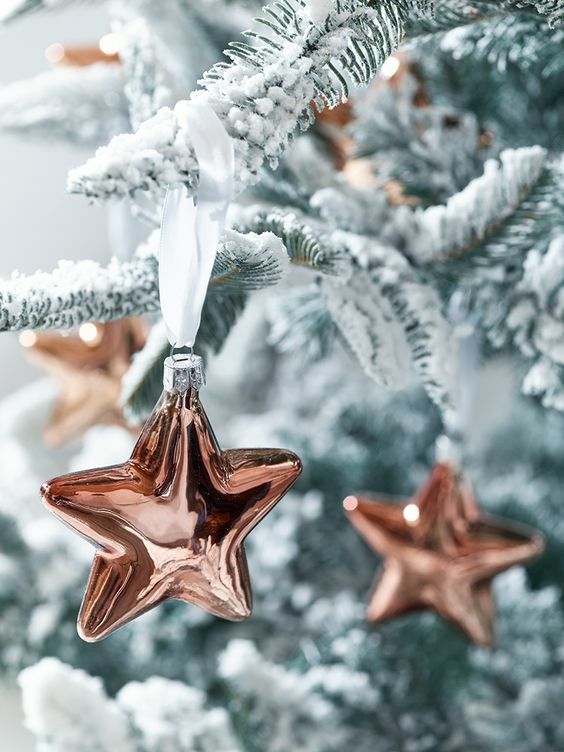 Copper ornaments look amazing both on usual and flocked trees, and on pure white ones – just striking because of the contrast between crispy white and soft copper. 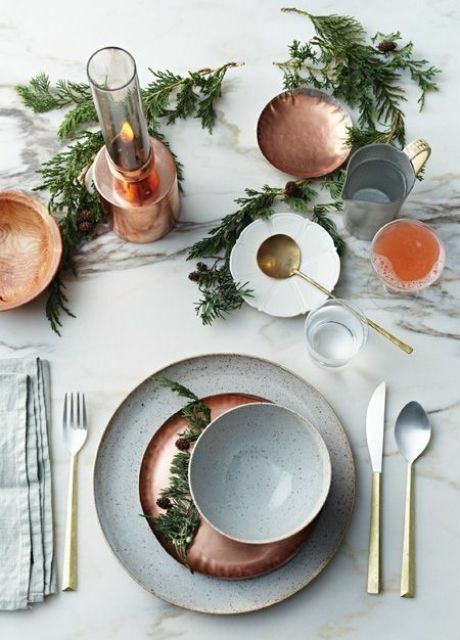 Tableware, cups and mugs, plates and chargers and vases and candle holders in copper can make your Christmas or just winter meal really special. 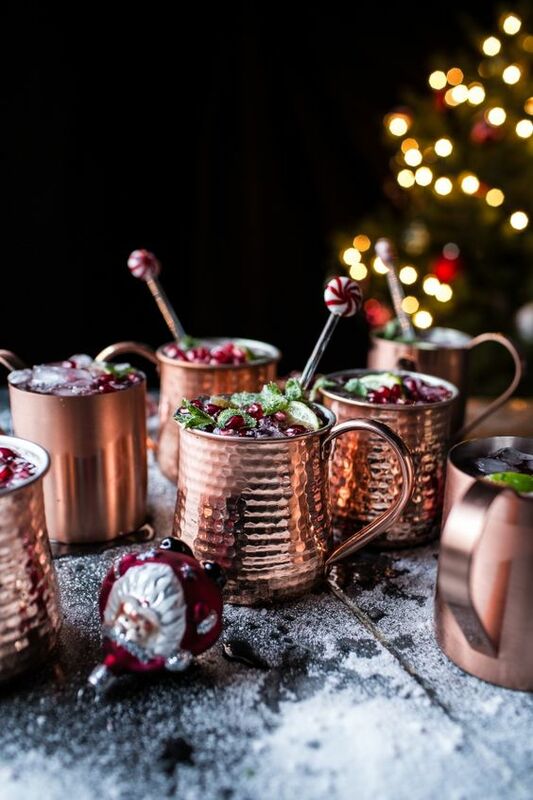 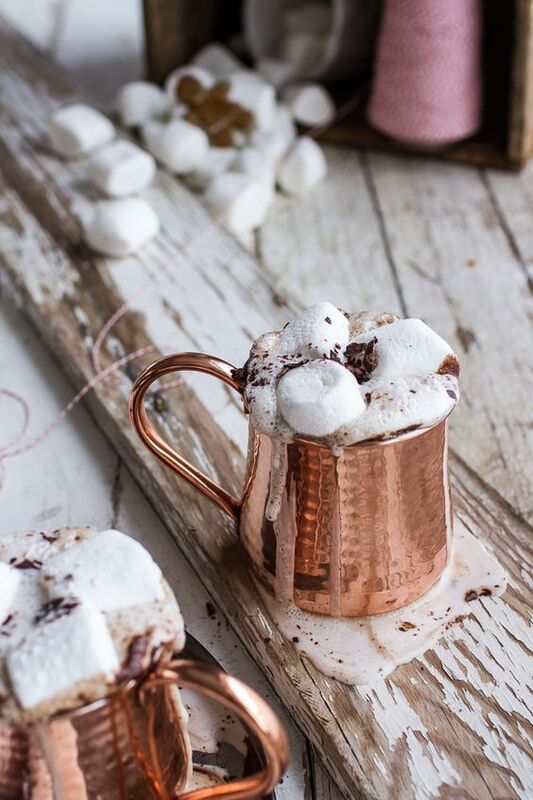 Serve traditional holiday drinks in copper mugs and put gingerbread cookies on copper-colored plates. 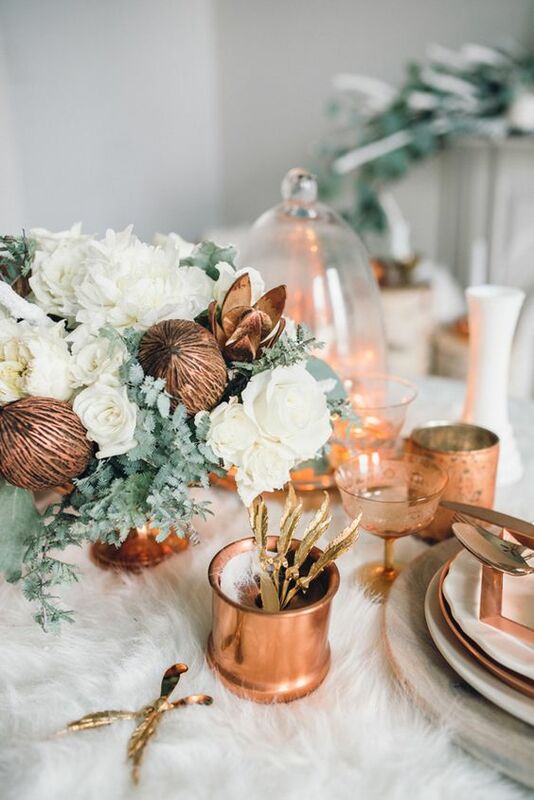 Mix copper and white or ivory to make your holiday table amazing, and fresh greenery or evergreen centerpieces are right what you need. 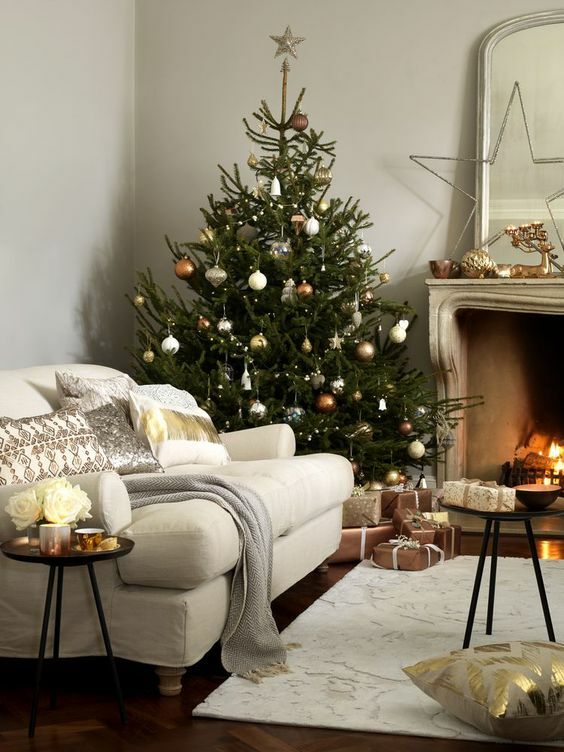 Add fur to make the table cozy and welcoming – to the chairs or table itself. 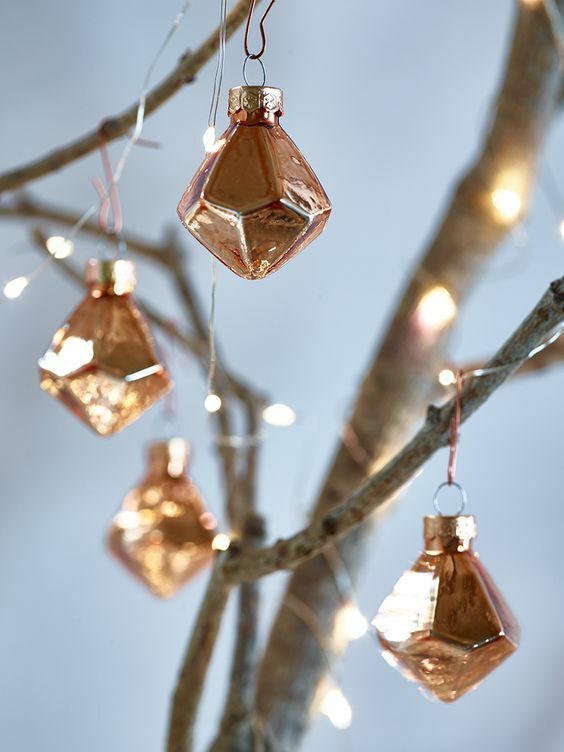 Copper candle lanterns with candles or LED lights inside will amazingly decorate tables, your mantel and windowsills. 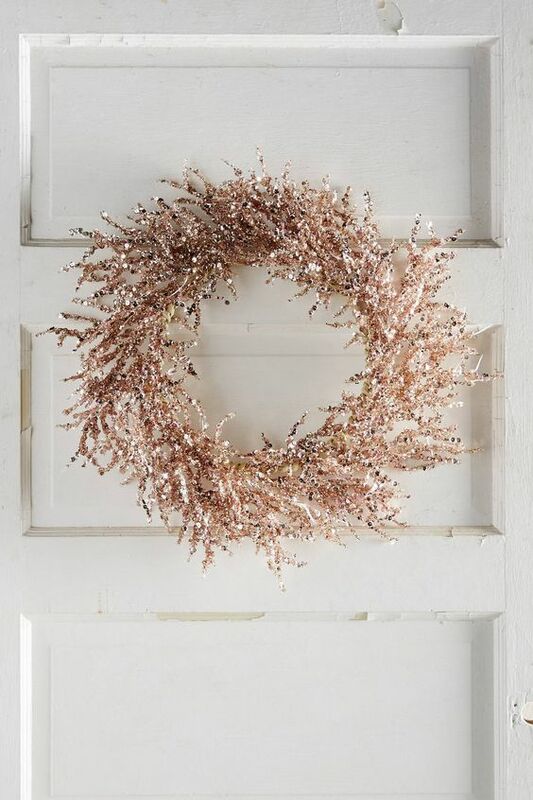 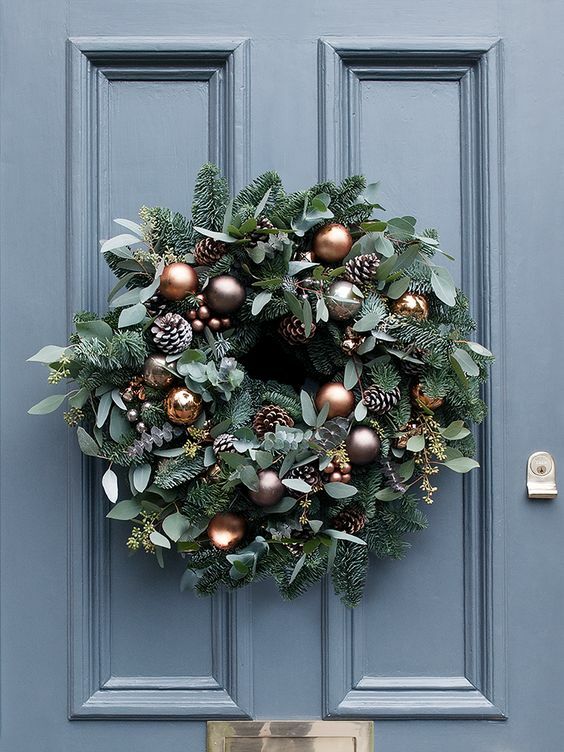 Spray paint a magnolia leaf wreath with copper to get a cool refined decor piece, and make wreaths and stars of copper lights. 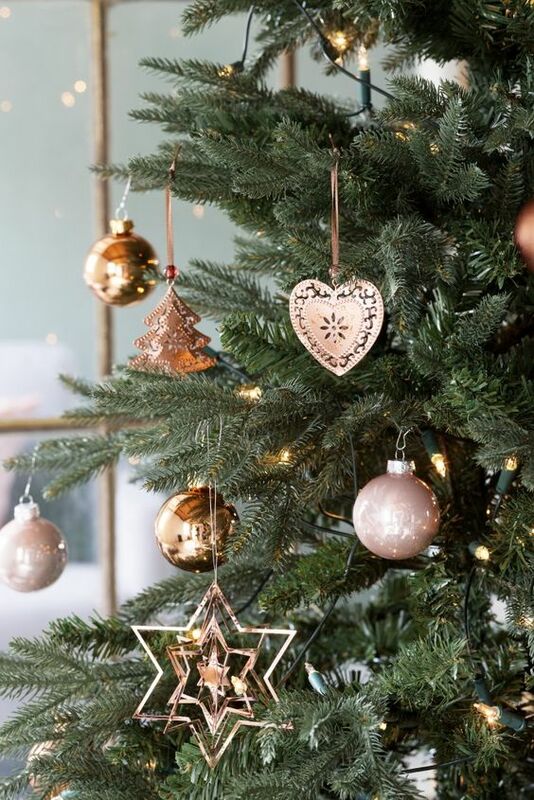 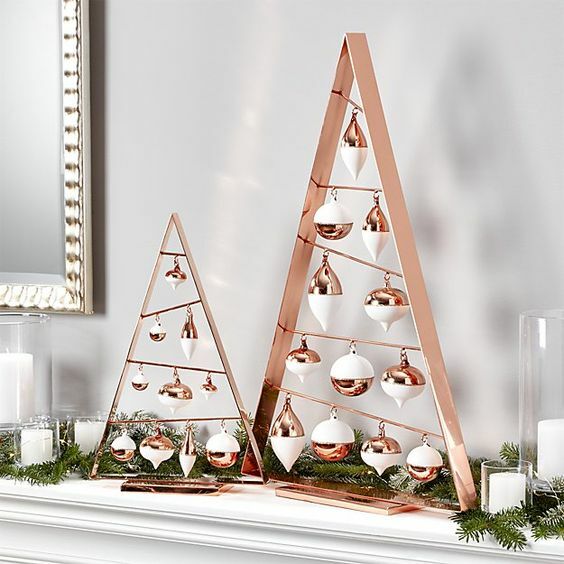 Find creative copper metal triangles and hang copper ornaments inside for a chic alternative Christmas tree. 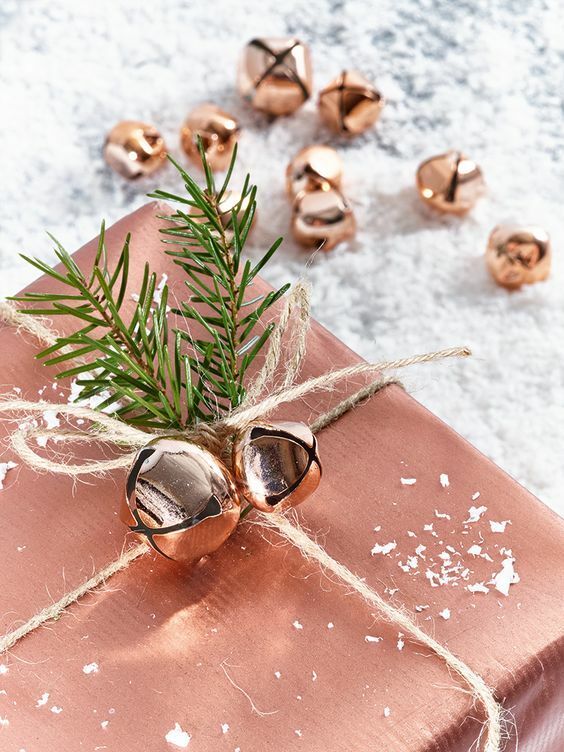 Wrap the gifts with copper paper, add copper jingle bells and evergreen sprigs and have refined holidays!